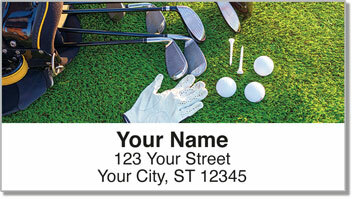 Just like a good golfer who finds a way to cut a few strokes off his game, these handy return address labels will cut the time you spend sending outgoing mail. 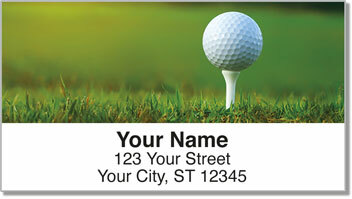 Golf Address Labels are an exclusive design from Check Advantage that features the convenience of self-adhesive stickers. That means less time in the office writing return addresses on envelopes, and more time on the golf course working on that slice of yours! 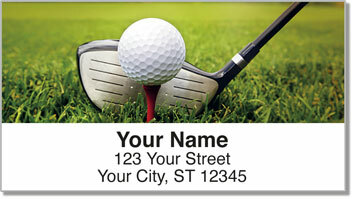 Get your very own Golf Address Labels today! 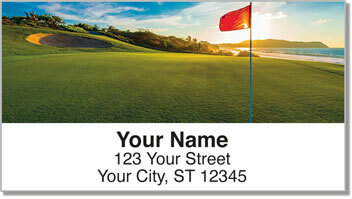 We are also pleased to offer matching personal checks in this same design.